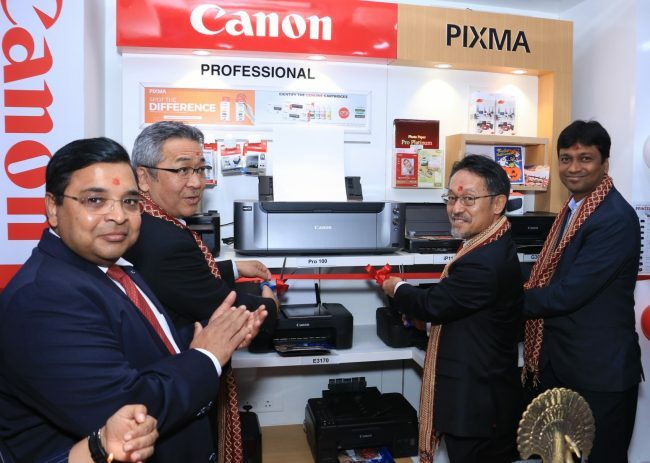 Canon India has launched today its first Canon PIXMA Zone in India which is loccated in Janakpuri District Center, New Delhi. The PIXMA Concept store is aimed to familiarize the consumers with all categories of Canon Inkjet printers, cartridges and photo media according to their usage and needs. This store will provide a personalized demo experience with an excellent sales support. The products displayed for home and office use would include product series like MG, MAXIFY, G, TS and E and professional portable printers. Keeping in view of festival season, the consumers will be able to avail various festive offers at the store valid until 31st December. Canon has announced a ‘Print & Play’ offer, through which customers will get Bluetooth Speaker free on purchase of PIXMA G 2010 & PIXMA G 3010. Canon PIXMA G series printers come with features like wireless connectivity and integrated ink tank.